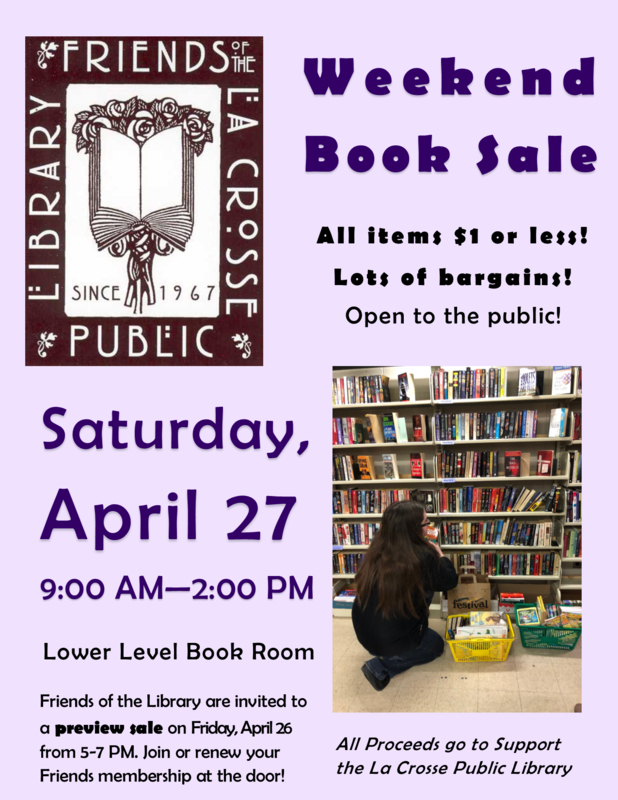 The Friends of the La Crosse Public Library will be hosting their next big weekend book sale on Saturday, April 27 from 9 AM -2 PM. Record Albums, Magazines, Craft Patterns, and more! All items $1 or less! Proceeds go to support the La Crosse Public Library. Want to get exclusive early access to the book sale? Members of the Friends of the Library are invited to shop the lower level book room at the Member Preview Night on Friday, April 26 from 5-7 PM. Join the Friends or renew your membership at the door to gain admission to the preview night sale.